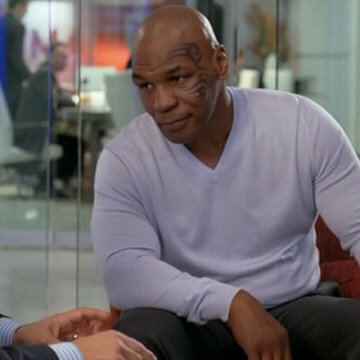 Mike Tyson guest stars in a single episode of Entourage, titled Bottoms Up, as part of the show’s seventh season. Ari invites the professional boxer in for a face-to-face meeting after he learns that a former employee is after much of the agency’s clientele. Mike Tyson agrees to stay with Ari, but only if he can lock down Jessica Simpson for the black Brady Bunch series he has planned.